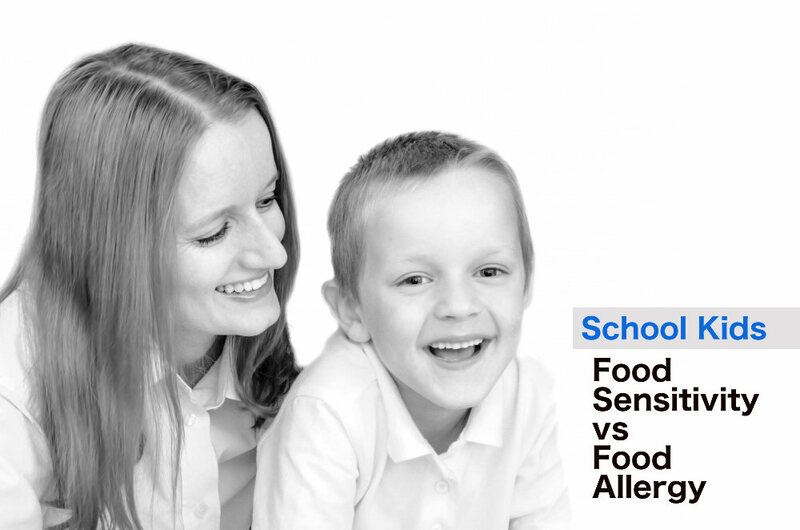 School Kids and Food Sensitivity vs Food Allergy - Oxford Biomedical Technologies, Inc.
Children present a number of surprising situations for parents on a daily basis. However, when a child experiences symptoms that seem to be triggered by food, it makes life for the parent and child a bit more challenging. While managing a restricted diet at home may be do-able, it’s more difficult to manage the diet when a child is in school. Is it a food allergy, food intolerance, or food sensitivity? Many people do not know the difference between food allergy, food intolerance, and food sensitivity and will often assume any reaction to a food is a food allergy. Even many health professionals use the terms synonymously. The Registered Dietitian is a health professional who does know the difference, especially if the dietitian is a Certified Leap Therapist (CLT). The dietitian is passionate in helping patients determine the cause of their problems, and in the case of children, focuses on what the child can eat to maintain appropriate nutrition for growth, development and improved performance in school. The difference between a food allergy, intolerance, or sensitivity is determined by how the body responds to the food that it considers harmful. Food allergies occur as early as infancy, and in many cases, are outgrown by the age of five. Food allergy involves the immune system and the production of Immunoglobulin E antibodies that trigger symptoms. Food intolerance is a mechanism during which the body does not produce the right chemical to break down a component of a food. An example of this would be not having enough lactase in the body to break down the lactose in milk and milk products. Food sensitivity is another type of reaction that does not Immunoglobulin E. In this case, foods are not processed normally and result in inflammation causing chronic symptoms. Common foods causing sensitivity symptoms can be almost any food, ingredient, or chemical, even if it’s been consumed without suspicion in the past. Food sensitivities can be more challenging to pinpoint. Diets are designed to provide the foods that do not show as reactive foods on food sensitivity testing. When it comes to any type of reaction to food the dietitian is a key player on the patient’s healthcare team. The dietitian knows what happens in the body from the time the first bite of food is taken and the pathway it travels until it is eliminated from the body. Diagnosis is not always an easy process as it involves a very thorough interview and documentation of foods eaten along with symptom occurrence, timing, and resolution. Testing is necessary to get an idea of what foods are causing symptoms. The next step is the development of the appropriate dietary protocol and determination of how long it must be followed. Child with chronic migraines that were so severe he needed to be home-schooled. The MRT test helped determine what foods and chemicals needed to be avoided. After a period of time following and elimination diet and later rotation he was able to return to school and did so well that he became valedictorian of the class, voted the most valuable player in his sport and was accepted into medical school. It was determined that cocoa was his trigger food. High school student, football player, developed severe migraines preventing him from being active and playing football. After following and elimination diet for several months his dietitian determined tomato was his trigger food. As long as he avoided foods containing any form of tomato he was migraine-free. He was able to return to the football team and needless to say a very happy young man who learned he was fine as long as he limited his tomato consumption to a small amount one meal per week. Young daughter of a CLT with chronic belly pain was tested, followed the LEAP dietary protocol and five years later remains symptom free. Young children who are tested by their allergist will be placed on an allergen elimination diet for a specified length of time. School aged children will often undergo a food challenge in the allergists office prior to attending school to determine if the child has outgrown the food allergy as the immune system matures with age. If the child reacts (fails the challenge) the minimum dose triggering a reaction will be determined and the appropriate emergency plan developed for school use. If the child has a food sensitivity rather than an allergy, foods may be introduced after a period of following the LEAP plan and rotation diet. This will help determine what foods and how often they can be consumed. In either case, the school should maintain an emergency treatment plan for symptoms. Parents should discuss school lunch with the dietitian who can provide ideas and recipes for what to pack as school cafeteria lunches may contain ingredients the child needs to avoid. Parents will also need to discuss activities with the teacher as many art and craft supplies may contain ingredients the child may be sensitive to. School should be a time for fun and fond memories, even for children who can’t eat the same foods their friends can eat. The dietitian can educate parents and children on skills for making life easier whether it’s an allergy, intolerance, or sensitivity. Reach out to a dietitian. It will be the best investment in your child’s health and your peace of mind.